With so many job board websites available, narrowing down exactly where to focus your attention to get the best results can be tough. Different websites have different features and qualities – some focus on a particular sector, whilst others concentrate on getting you the best salary within your field. We’ve selected 10 of the best job boards in the UK to help you decide which is best for you. Best for: People who don’t have the time or patience to search multiple websites. Useful features: The most popular of all UK job boards, with ten jobs added to the site every second. Indeed has a comprehensive search function to allow you to easily sort through the many jobs available. You can filter by location and compare different salaries across positions for which you're qualified. You can also set up job alerts, and rank jobs by your personal priorities. Things to note: Indeed is essentially a search engine aggregator for jobs – so if you’re already using numerous other job sites, you may struggle to see new positions you haven't seen elsewhere. Best for: Those wishing to strengthen their skills and access a high volume of vacancies in one place. Useful features: Totaljobs is now partnered with Jobsite, meaning that its job listings are broadcast to over six million jobseekers each month, with around 100,000 live job adverts on the website at any one time. The website provides useful career advice in the form of informative articles on interviews and job hunting, as well as the opportunity to search for courses for career development. Using a feature called ‘One Click Apply’, you can upload your CV and cover letter to the site, and then apply for jobs with one click. Things to note: Totaljobs offers a range of services to jobseekers, to help them perfect their pitch and get them and their CV noticed. Best for: Those looking for jobs at specific companies. Useful features: Reed has a large database of jobs available, featuring over 25,000 companies a year over 40+ different sectors. You can search by location, orgamisation and sector. Reed allows recruiters to direct their job advert towards registered jobseekers with the qualities and skills that they are looking for. Candidates can set up email alerts and upload their CV to their jobseekers’ profile. Things to note: Reed also advertises courses and training days, aimed to help candidates improve their employability and skills set. Best for: Jobseekers who don’t have the time to trawl through results. Useful features: CV-Library invites jobseekers to upload their CV, highlighting their skills and sectors theya re interested in, and allowing them to apply using one click. Jobseekers will receive alerts for vacancies specific to these skills and sectors, ensuring that they don’t miss the jobs that are most suited to their needs. Things to note: CV-Library has an ‘Employer of the Month’, which highlights a particular career path and shows current vacancies within that industry. Best for: People who prefer to use social media to find and advertise jobs. Useful features: Monster allows recruiters to opt to post their job advertisements on Facebook and Instagram to maximise the potential audience. Registering your preferences means that relevant job ads will appear within your Facebook and Instagram feeds. Monster also provides a comprehensive range of career advice resources and tools, and an app which uses the Tinder-style ‘swipe right’ feature to allow candidates to easily apply. Things to note: Monster has a wide range of international positions, and is therefore a good choice if you're interested in jobs outside the UK. Best for: Those who want to know what they are worth. Useful features: Adzuna's algorithm aims to send jobs only to those most likely to be qualified for that position; a win for recruiters and for jobseekers. Its ‘ValueMyCV’ service helps users to get a fast and free estimation of their potential salary, as well as suggestions for future career paths. It also checks your CV for errors and formatting mistakes. Things to note: Adzuna offers jobseekers the opportunity to access data related to their sector, giving you a much broader feel for an industry and the opportunies therein. Best for: Those who want to know more about the companies they are applying to work for. Useful features: Along with being a comprehensive job board, Glassdoor also offers candidates and employees the opportunity to anonymously share their experiences (and salaries) of particular companies. This gives potential employees the opportunity to get a real feel for the interview process, the culture at the company, and what the job might involve. Plus whether the actual salary matches up with the advertised range. As a job board, it allows up to ten posts to be registered for free on the site, and has a wide range of jobs and internships available. Things to note: As well as job ratings and salary ranges, Glassdoor has a useful section on interview questions. Best for: People who have a job in technology in mind. Useful features: The self-proclaimed home for tech jobs, CWJobs also provides tools to help boost your CV and improve your employability. Candidates can opt in to job alerts, and apply on the go via the mobile app. Things to note: CWJobs hosts a range of technology jobs – great if you're after something part-time or more casual. Best for: Those looking for high-calibre jobs in specific sectors. Useful features: Vacancies here are often more sector-specific than the average job site. The Guardian provides high-quality listings in a much smaller proportion to other sites – narrowing down the jobs available and seeming less overwhelming as a consequence. 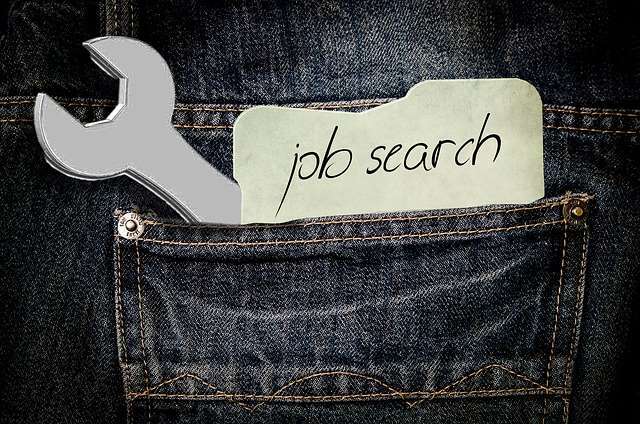 There's an exhaustive section dedicated to the different aspects of job-seeking, so any questions you may have about finding a new job are likely to be answered. Things to note: If you're a graduate, the Guardian has a specific section for graduate schemes and graduate-level positions. Best for: Those wanting to work within the UK startup environment. Useful features: WorkInStartups has a busy community of users on Facebook and Twitter, and recruiters can pay to use these social media platforms to promote their adverts. Candidates can opt to receive a weekly newsletter that will highlight the top jobs. Things to note: If you're new to a specific field and want to gain experience fast, then entry-level jobs in a startup might be a great place to begin your career.